Hagen Limited is a private investment Management agency. The company took over the management of the Imo State Water board recently in line of the state government in privatization. 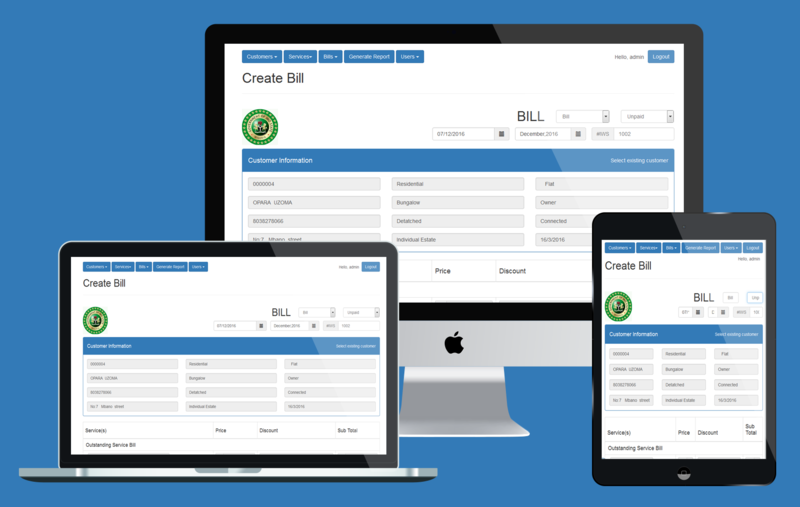 Considering that method of bill management in the Imo State Water Bord have been manual, hence, In this project we developed an efficient computerized Bill management system for the agency. The application was developed to be web based, so it can run in an internet, intranet or LAN environment. HTML and CSS was used to markup and style the pages respectively. PHP was used as the server side scripting language.And the database system is Mysql.The system runs smoothly on an Apache server. Why not join our league of happy clients? Powered by WordPress and Designed by Allure Creative Lab.